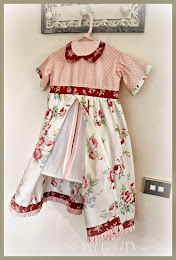 Sew Useful Designs: Debut in Homespun and a giveaway! I have been a very busy girl this past few months, mainly behind the scenes because I haven’t been able to show you what I’ve been up to! But now I am delighted to reveal my debut project in the current issue of Australian Homespun magazine! There are several variations to the hearts; the buttons, the flower, and the reverse side has either a pocket or can be made into a pomander. The variations will be on Homespun’s website. You can see the reverse side of the pomander heart in the photo below… it is the top heart with the lace. I shall draw the winner on Sunday 25th April at 12.00 noon Melbourne time. Good luck! I’ll speak to you soon! I love your hearts and the colors you have used! I hope I win them! Congratulations to your first year as a blogger! I would love to win the magazine and hearts too. I am a follower and have been for some time. Thanks so much for sharing your talent. I am a follower, an the hearts are so sweet. You are ever so talented. Oh what a lovely giveaway, the hearts are just gorgous, and the magazine stands on its own and to get two "gumtree designers" in the magazine what a bonus. Thankyou for making my coffee break much more interesting. I saw your hearts in Homespun just beautiful ! Congratulations on 1 year blogging but surely you could have left your wedding for just a few minutes to blog about your anniversary , lol ! Congrats on your blog anniversary and wedding. It has been a year of blessings for you and I pray those blessings continue. So sweet hearts. Really lovely. Thank you so much for the give away! Oh forgot to mention that I am already a follower. Love to read your posts. Congratulations to your first year! First of all, I wish you all the best for your wedding and blog anniversary too.Your hearts are sooooo sweet. congratulations, and thanks for the great giveaway. I would love to win. I am a follower and will blog about this as soon as I get time. Congratulations on Homespun darling. Those hearts are absolutely scrummy. Well one year of blogging and the wedding, two important factors! Vikki, those hearts are just too, too cute! I am soon to be a grannie to twins-a girl and a boy and I could just see those hearts in the nursery :) Looking forward to seeing more of your designs real soon! Love them..... and congratulations.... :o) AND this reminds me to renew my subscription... ohhh.. received my last copy last month... ahhhh... wouldnt want to miss out on this!!!!! Yes, you have been a very busy girl Miss Vikki. Congratulations on another published project. It's lovely. 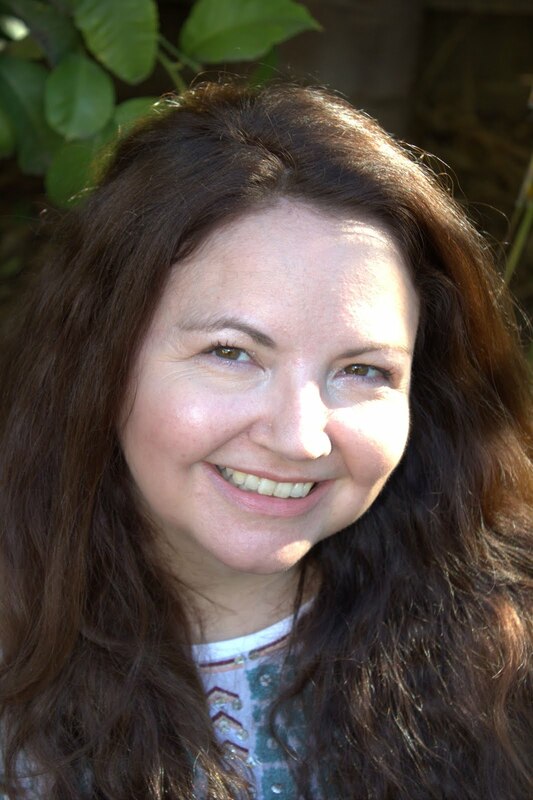 I remember holding your hand as you nervously took your first steps into blogland last year. Haven't a lot of things changed since then. Congratulations on your first blog anniversary Vik. Lovely giveaway - please count me in, too. I am a follower! Ooh, I love the look of that magazine, one that we don't get here in the UK. And the hearts are so pretty, they'd look lovely hanging from my drawer handles. Congrats on getting into the Magazine..Your Hearts are Beautiful..
Oh yes please include me in your giveaway. I am also a follower. I'm your follower and put the picture on my blogroll too. I will blog about it right now on my left side bar. Enjoy this great step in your life, dear Vikki!!! Congratulations, I would like to win, thank you very much. I just receive my Homespun magazine yesterday in the mail. I saw these cute hearts and fell in LOVE with them. I am a follower through google reader. Congratulations on 1 year of blogging. Congratulations on your "debut". Those hearts are gorgeous. I hope I win...I'm going to buy the mag anyway and have a go at making some (they won't be as nice as yours tho'). I'm already a follower and will be off to post about it. Congratulations - love the hearts! It would be wonderful to have a copy of the magazine. I am a follower and sure would love to win your giveaway. I follow you on Google reader. Congratulations Sweetie!! It's so exciting seeing bloggy friends make my favourite magazine!! And I'm now following you! Oh, and I meant to say congratulations on your recent wedding and I wish you many blessings and years filled with love and joy. Your wedding was absolutely lovely, as are you! I received my copy of homespun in the mail this week and saw your hearts which i thought were delightful. I can't believe all the talent that comes from DOWN UNDER?? Those hearts are awesome and anyone would be out of their heads if they won them.. Sometimes I have seen the Australian books here but not often..Love all of your work..
What a great give away ,please include me in our give away ,I'm a follower and would just lover a chance to view that magazine and win one of your pretty hearts . These hearts are way too cute. I follow you and look forward to your posts. I've posted in my sidebar about your hearts too! So nice hearts. Thank you for the give away! I am already a follower. Love to read your posts. Congratulations to your first year! Congratulations on your blogoversary! Great giveaway! Please count me in! I am a follower and put a link on my sidebar. I love your hearts Vikki!! You are so right that it is hard to get Homespun magazine on this side of the pond! What a gorgeous magazine it is and I would be thrilled to win this giveaway! I'm moving soon and would love to hang those precious hearts in my new home. Fingers crossed. Vikki, first, congratulations on your lovely wedding- loved the locationa and pics! And didn't your kids look wonderful? Wishing you both many, many happy years.And congrats on the blogoversary - wow, 1 year already! I read the GumTreeDesigners every day, and am amazed at the talent and generosity of you all. Those hearts are soooo cute - what a great idea! Very, very occasionally I'll see a copy of HOmespun here (usually an oldie in a 2-pack with another Aussie mag). I would LOVE to WIN!! Keep designing! I am a follower and have also posted a message about your giveaway on my blog. Oh what a lovely giveaway. I am "across the pond" and can only hope and wish for Homespun to become available in the US. I follow your blog through Google Reader and SOOO envy your creativity! Happy Blogiversary! What a wonderful giveaway. The hearts are darling,and the magazine would be such a pleasant addition with all of its beautiful inspiration. Thanks for entering me. Count me in for three entries please! I'm off now to blog about your great giveaway! Amor Amor a Los corazones, y Tienes razon en muchos lados no conseguimos la revista o no la Podemos Comprar Por no dora Tarjeta de Crédito Internacional. I love that magazine! I hope I can win it and your beautiful hearts! Congratulations on your one year of blogging !! Love the hearts , very pretty indeed and I would love to win them .I am a follower already and will blog about your giveaway on my blog as well . If the ditch was a tad more shallow I'd walk over there for those wee hearts. My favoutite embellishments ric rac and buttons how clever to put them on wee hearts. Congratulations on your blogging birthday. Ooooh they're absolutely GAWJUS dear Vikki!!!! Just love them :o). What a great idea to pop a pocket on the back for secret notes ;o). Darling they're just SO pretty :o). Your Giveaway is enormus. Hope I get one of the cute prizes. A link to your Giveaway *done*, follow your Blog * done*, leave a comment * work on it*. Now I hope I'm a little bit lucky *cross the paws from my doggies* lol. Wow, What a nice giveaway, an the hearts are so sweet.Please enter me into the draw!!! I'm already a follower.I posted your giveaway in my blog. I am a new follower and with what I saw it is a beautiful blog. Enter me in your giveaway. I will be happy to win. LOVE the hearts and mag!Thanks for a chance to win! And now I am a follower! Thanks for the chance! Congratulations on your published pretty piece and your first year of blogging. 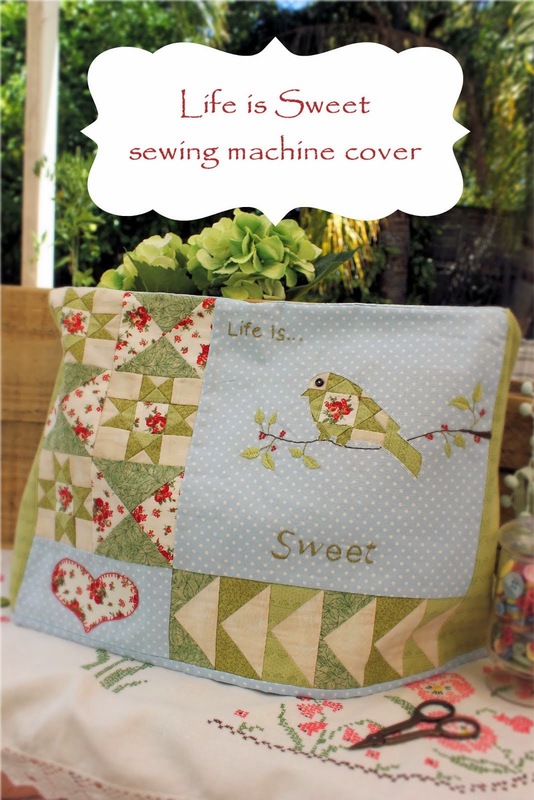 I 'love' Australian quilting magazines and would love to win!! I too would love to win your heart...I had to say it!! Also the magazine and fabric!! Thanks so much for throwing my name into your give away hat!! Your hearts are so pretty. I buy my Australian magazines from a website in the USA called Ericas so if I don't win will have to buy myself one. I am keeping my fingers crossed though because I would so love that you have made with your own creative hands. Hearts to commemorate your wedding day - nice! I'd love to win. And I've become a follower. I would love to win - I am also a follower. Congratulations on your first year. I look forward to the next one. I love your hearts! I follow your blog via the blog list I have on my sidebar, so I visit everytime you have a new post. Hi Vikki, greetings from Slovakia :-)I like hearts and your blog, thank you for giveaway. these hearts look so great !!!! Da hüpf ich doch gleich in den Lostopf. Just love your hearts. What a great giveaway. I have never had an Australian magizine to look at being as I live "over the pond". It would be a real treat to win this. Congrats on your first year of blogging. Well congratulations on your being published. I love that magazine and have quite a few. I am already a follower and loving it. I'm an italian girl and I don't know if I can take part to your giveaway, but your hearts are so beautiful!! I want to invite you to take part to my swap. Congratulations on one year of blogging. I can see why you had other things on your mind that very day! Just became a follower. Congrat's on your first year as a blogger. This is all new to me and has become quite an addiction. Would love to win your give away but if I don't I have won with becoming a follower just the same! The little hearts are so clever! congratulations on your blogger anniversry!! Your hearts are just beautiful. The hearts are lovely, and it would be interesting to read the magazine. I'm a follower of your blog. Congratulations is very very beatiful !!!!!!!!!!!!!!! Congratulations! :-)I like your blog, thank you for giveaway. hallo,my name is harriet.i life in cologne (germany). congatulations for your first blogger year. I would also like to go into the pot. Betty sez she's feeling lucky, but we all know I really, really love hearts and anything PINK. A year passes quickly when we're having fun ! ! ! My daughter would love those hearts!! They match her room perfectly...she's almost two. Congrats on your 1 year but more importantly Mr SUD. I've been reading about all the gumtree girls lives since you started. Just goes to show that although you are half a world away that joys and sorrows are the same everywhere and it is a very small world we live in. Thank you for letting us share in your joy. Congrats Vikki on your design and what a generous giveaway you're having. I would love to win your beautiful hearts and the magazine. I was just thinking how do I get that magazine. Thanks for the chance to win. I just signed up to be a follower. Thanks again. Lovely give away and thanks for the chance to participate. I have mentioned this on my blog as well. Congratulations and thank you for sharing your creativity. The hearts are beautiful. Wow!!! how many comments do you have. I bought Homespun today, and will be making your gorgeous hearts very soon. Your hearts are divine! Congrats on your 1 yr Bloganniversary. Pls pick me! Love the hearts. I don't know how to follow your posts; can I get notice when you blog or must I just remember. I don't blog. Keep up the great work. The hearts are so pretty. Congratultions on your first year as a blogger. You are right, it is hard to find Australian publications here in Canada. Congratulations on being published in the magazine. Thank you for being so generous with you giveaway. It certainly would be great to be the lucky person. WOw, congrats again, you just are having the best year aren't you?? I've been away on retrerat and am just now catching up on all my blogs! Love yours as well as the other GTDs!! I enjoy making gifts of things that are beautiful and useful! We sure wish Homespun was availbale on this side of the pond!!! Great giveaway,,,I am always looking for the Australian magazines....such eye candy! These hearts are beautiful! You are so talented. Lovely giveaway. Please enter me. Now I am a follower, too! And, my email address is galew417@comcast.net. Congratulations on your first year of blogging.I would like to win the hearts please. Congratulations on your first year of blogging! I`m a follower and have been for a while. Of course I would love to win, your hearts are lovely. I love your hearts. Congratulations with your first year as a blogger. 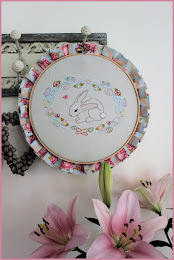 It is difficult for me to find the Homespun magazine so I will made a subscribe today. Congratulations to your blog anniversery and your wedding. I just return from an awful trip to Brussels. 1 hour 35 min's flight time transformed into a 3 days train journey. But we are safe home; it is my birthday today and you have a wonderful giveaway. I am a follower and would love to win the beautiful hearts and the magazine. Congrats on your first blogging year (only one? you seem so "seasoned"!) AND your publication in Homespun. You've obviously got "IT" - a great sense of style. You asked what we like to create for friends. Here in the States, I find sachets popular (but not lavender-scented for some reason). I also like to do cushion COVERS in standard sizes; keeps the price down and for those ladies who always say "I could do that" and then don't buy.... well, it's easier to sell something unique for less when they only have to slip it on a pillowform. I like cute stuffed birds and owls, too. And cuffs and aprons. Oh yes please Vikki, I'd love to be entered in your giveaway... thanks for the opportunity. gorgeous hearts! and I'd love to get a copy of the mag - I can never find them over here! Happy Blogaversary! Geeeee, you really have had alot going on! I'd love to win.....love that magazine but can't find it here. Keep up the great work! I can't get enough hearts. Yours are so cute! Happy Anniversary. Your work is always wonderful and fun. I've enjoyed following your blog. 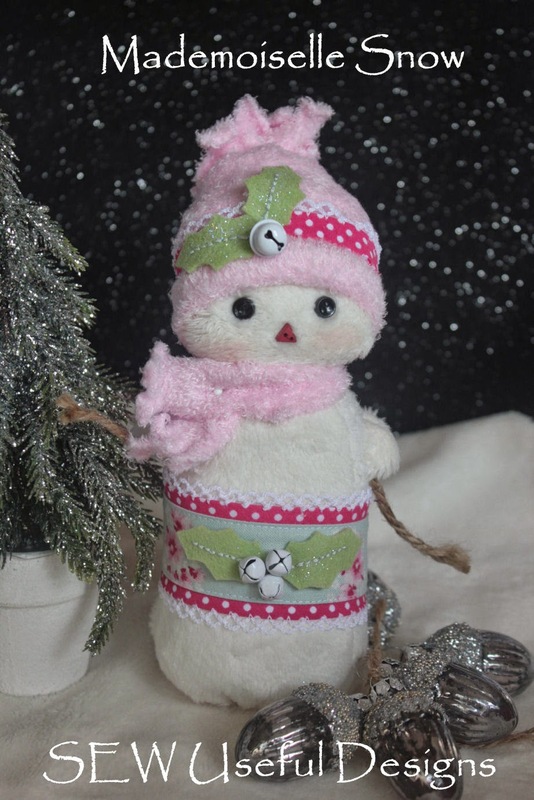 I have just found your site through Willowberry Designs and have joined as a follower. Congratulations on your first year as a blogger and will put your site on Google Reader also. I love the hearts and would really love to win them and the magazine. Congratulations on your first year and also on Homeaspun. The colors are lovely. i am a follower and about to put this link on my blog. i enjoy all your work and Among the Gum Trees designers. I love these beautiful hearts and your other works. I am your follower and add your giveaway into my blog (right sidebar). Vikki, congratualtions on your 1st anniversary and thanks so much for giving us all a chance to win your gorgeous creations. The hearts are really pretty and I would love to have them made by you. I love these beautiful hearts and your other works. I am your follower and add your giveaway into my blog. I just got Homespun and I LOVE your project and would just love to win your hearts!!! Congrats on your blogiversary as well!!! How lovely it would be to win your beautiful hearts. They are gorgeous. Thanks for a great giveaway. Congrats to you! Nice to follow your blog and admire your stuff, which I do. Hi Vikki, congrats, you did such a great debut. Love Rosie's heart. Happy blogversary. Please put my name in. Thanks for the opportunity. Such beautiful hearts! Well done on your debut! Here's to many more and happy blogaversary! Congrats on your 1year blogaversary! What a fabulous giveaway. I would love to win all those goodies. Happy anniversary and thank you for gifting one of us. I love your fun designs and Homespun and look forward to many more. Happy anniversary and thank you for the wonderful work you do! Congratulations for your debut in Homespun and your first year as a blogger. I'm a follower through the Gumtree Designers. I love your wee hearts. I would love to win them. Hugs, Donna in Brisbane. Oh, those hearts are so pretty! I love the one with the buttons. Congrats. on being a designer with Homespun magazine and also on your blog anniversary. I became a follower at the time the Gumtree Designers got together. Congratulations. Your hearts are so cute. Iwould love to win one. Congratulations on your blogaversary and on your magazine debut. What a lovely giveaway, please enter me in the draw. Have been a follower for ages! Vikki ... these lovely, whimsical hearts are to die for!!! And, the fabrics you used to make them seem to be the perfect match to/color as the fabrics in my bedroom. I would love to win this giveaway ... it would be such a special treat!! Congratulations on your first "blog-a-versary". I hope that you will be blogging for years to come ... I really enjoy visiting here. Raggedy Hugs, and have a lovely day!!! How fun! Love the hearts and the magazine would be fun to take a look. Thanks -- Hope you have a great day. Gorgeous hearts... would love to win... will become a follower AND blog about it too.... Yaaa, three chances to win! I would so much love to win. They're gorgeous!!! Thanks for the chance! oh! and I'm a new follower!!! I really enjoy reading your blog. I would love to subscribe to Homespun, but the cost is too prohibitive here in the US. Maybe I will win your giveaway. I just LOVE your little hearts . They are so precious -they really win my heart strings. 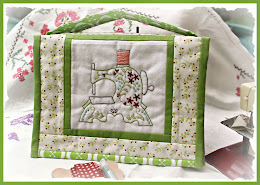 I posted about your give away on my blog , The Sewing Granny. Of course I wish I could win it, but I seriously have rotten luck - so I will be happy for whoever wins. I did land on your blog by way of Chris -at Diet Coke rocks and I am so happy that she shared . Thank you so much and keep up the beautiful work. I've seen references to that magazine before, and it looks wonderful! I would love to get a copy, along with your beautiful hearts! Congratulations to your first Blogoversary! (mine is only little more than one Month old..) You're so talented and have a very nive blog! I would love to participate and win your nice hearts. I became your follower and put the link also on my blog. ooooh I checked out your hearts, but in the pdf there wasn't the template for the flower. I'm afraid I don't get that issue of the magazine either. So sad! I just became a follower and love your blog. I love your hearts and the magazine...what a generous giveaway package! Our granddaughter is also Kayla, but that's ok...your Kayla is just as cute. Love to be in the giveaway. I would love to enter your giveaway...fun hearts!! Gosh! There are so many comments I don't stand a chance of winning, but, oh well, you never know! Oh those hearts are lovely. Thanks for sharing all your designs with us, it is always a treat to see the new things that you have been sewing! Congratulations to your first anniversary and thank you for the very lovely giveaways. I really, really, really would love to win the magazine and the hearts. Sorry, I do not blog. I do read the blogland every single day. Those hearts are just so beautiful. I would love to enter your giveaway if I could. What a great year of blogging too. Happy blogaversary! What an awesome give away!